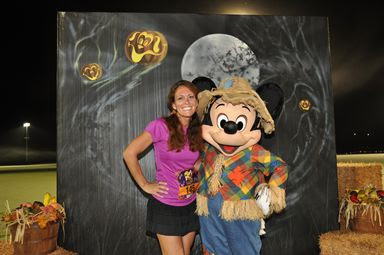 Grabbed a quick pic with Scarecrow Mickey before the start of the race! My very first runDisney event was the Circle of Life 5k in 2009 at Disney's Animal Kingdom and since that day the 5k races have held a special place in my heart! I'm a total fan of the 5k's and always attach these events to the longer races. 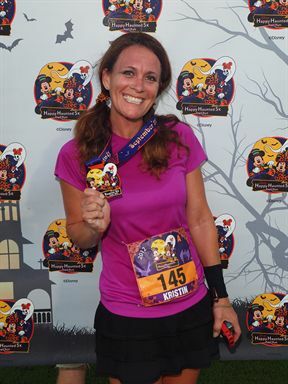 Last year I ran the Disney Happy Haunted 5K Trail Run! This 5k was on the same morning as the Inaugural Twilight Zone Tower Of Terror 10-Miler. I registered for the 5k and the 10Miler and was really excited to run these both on the same day. I had done this type of challenge before so I was not a stranger to running multiple races on the same day.....and I loved it!! There were just too many reasons why I wanted to run this race. 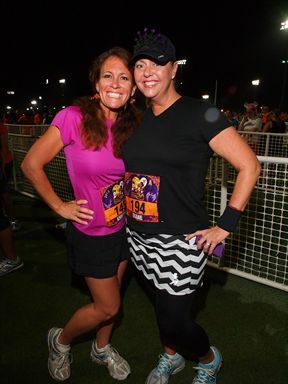 First, I love Halloween and Second, I was particularly excited to be able to run at the ESPN Wide World of Sports Complex. I like this venue. It's so spacious, has ample amounts of parking, can accommodate thousands of people easily and it's gorgeous!!! As with any race, there are pros and cons to "change" according to runners. Don't forget that in the previous years, this Halloween themed 5k was held at Magic Kingdom and was not welcomed by many runners being moved to ESPN Wide World of Sports Complex. I had indeed ran the Halloween 5k the previous year at the Magic Kingdom so I was naturally curious to see how I would like the change in courses. 1. It's a runDisney event. Enough said. 2. Non-timed 5k. Plenty of time to play around OR run hard if I want to! 3. New location=New course through the trails and woods. 5. 5k during the morning and Tower 10Miler later that same night! Getting in lots of miles...13.1! 1. Not sure if I will like running the new course. 3. Running through the trails and through the woods...rocky terrain?? 4. Worried there would not be alot of characters out since we aren't running through the parks. 5. I've ran so many races starting at Epcot that I know the drill. I didn't know the drill at WWOS. Okay. So even with these Cons that I listed, none of them scared me enough to NOT register. In fact, I actually liked running on the trails. I'm not a trail runner AT ALL so this was a challenge...and I do love a good challenge! Running through the woods were a little shaded so that's always good in the Florida sun! There were not a ton of characters BUT we did run on the track at the ESPN Wide World of Sports Complex so I was totally cool with that! The "drill" was super easy at this venue. The corrals were easy to find, everything organized and plenty of space to hang out after the race with friends. I particularly liked the post race area...I never felt rushed to leave the race! Ready to Start the Happy Haunted 5K with Diane! Start Line posing with the skeletons. Hi there from Mile One! Found these guys hanging out in the trails. Big Hugs! Through the woods and headed to the track! I felt like an Olympian. Lol! Big Smiles at ESPN Wide World of Sports! I love running here! The GraveDiggers in the middle of the track. The sun has decided to show up for the race too! It was hot and muggy....got a great workout!! Bring on the Twilight Zone Tower 10 Miler later tonight!! Coming in for the finish....hot!!! How cute is this medal?!?! Now THIS is alot of runDisney bling...aaaaahhhhh! We took lots of pictures after the race was over with our medals, waited for other friends to cross the finish line and re-hydrated!!!! What a GREAT Photo op!! Great view of Josten's Center at ESPN's Wide World of Sports. Got my medal! 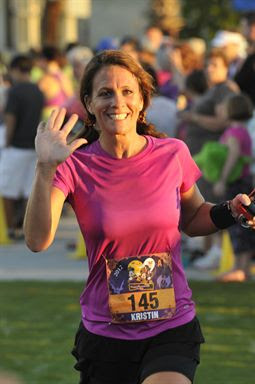 Love running the Disney 5Ks! Fun day of running with my girls! Finish Line area at WWOS. See ya real soon! I really liked running the race at WWOS and have already registered for the 2013 Happy Haunted 5k Trail Run this October! I will also be running Disney's Twilight Zone Tower of Terror 10-Miler later that night. I'm ready for a spooky weekend FULL of Disney running fun!!! **For more information on other sporting events held at Disney's ESPN Wide World of Sports be sure to follow @DisneySports on Twitter and espnwwos.com. **Registration is still open for the Disney Villains Hollywood Bash and Kids Races. Register here. Happy Running and see you on the Happy Haunted Trails Real Soon!! WOW WOW WOW!! I can hardly believe it is getting close to start training for the RunDisney Dopey Challenge!! Woah. 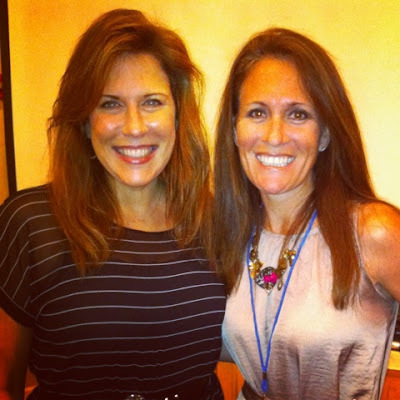 It seems like just a few days ago, I was trying to decide if I was even going to attempt this 4-Day challenge!! I'm beyond excited to get started and have been holding off on long runs recently knowing that I've got ALOT of training ahead of me! I am going to use the Jeff Galloway Training Plan for Dopey Challenge. Sort of. I will be tweaking the plan just a bit to accommodate my schedule. I'm working in a few long local races to count as the long runs. I don't see myself walking any of the plan but it will take some of the pressure off of running if I do need a "walk day". 1. The plan is 29 weeks long. If I have to skip a run now and then, I can surely make it up. Also, I feel like after 29 weeks of training...I will be completely trained and have all of the confidence in the world that I will finish Dopey Challenge with no problems! 2. The plan starts of relatively slow but not slow enough that I feel like I won't be getting a good workout. 3. When the plan is at it's most intense...it will be cooling off! It gets HOT in Alabama. 4. There are some weeks with only 3 days and others with 4-5 days. Flexibility is good. 6. 29th Week is Recovery Week...Love this! 7. Perhaps the BEST feature of this plan is that I was able to download all of the mileage right to my smart phone! So easy...go here to download it to your phone. **This plan was formulated for experienced runners who have been running for at least 6 months. Magic Mile: I suggest doing this after the standard warmup on the weekends noted on the schedule. By the end of the training program you want to run a time of 11:15 or faster to predict a finish time below 7:00 on raceday..The “Magic Mile” time trial (MM) is a reality check on your goal pace on raceday, and has been the best predictor of finishing under the race time limit of 7:00.
you cross the finish at 1.0 miles. • Only one MM is done on each day it is assigned. your mission is to beat the previous best time. cadence or turnover to run faster. Predicted All-Out Effort Pace: Take your best current MM time and multiply by 1.4. 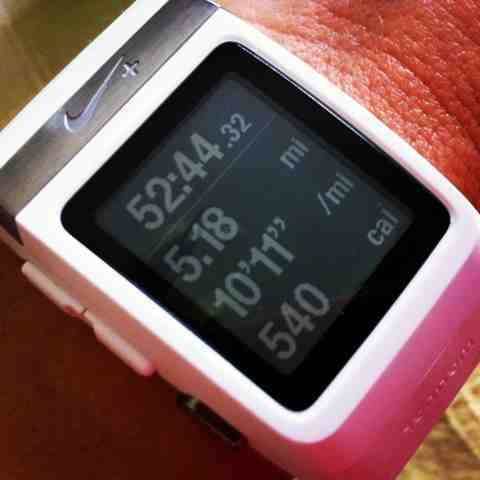 This is the fastest pace you could currently expect to run under ideal conditions per mile in the marathon. 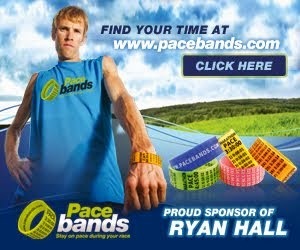 *Long run pace: should be at least 2 minutes slower than the current predicted marathon pace. *Adjust for temperature: At 70F, slow the pace by an additional minute per mile. At 80F, slow down another minute per mile. Happy Princess Half Marathon Registration Day!!! I have loved this half running shoe/half glass slipper since the day I saw it at the runDisney Princess Half Marathon expo! I mean. Really? How Cute it is that?!?! I CANNOT wait to run the all new 2014 Glass Slipper Challenge. I'm registered for all three races, Cinderella's 5k, Enchanted 10K and the Princess Half Marathon!! Princess Half 2014 will be my 6th Princess Half Marathon and I'm already planning my outfit!!! Happy Running and see you at the Castle! **Which Princess did you pick on your registration?? I picked Belle! OH. MY GOSH. 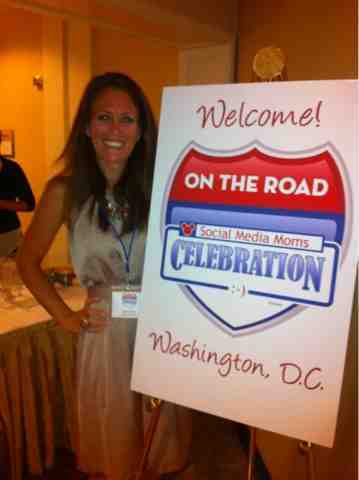 I cannot believe that I just attended the Disney Social Media Moms "On the Road" event!! I think I'm still in a little bit of disbelief!! As soon as I received the invitation, I knew I really really wanted to attend this event but WOW, we could choose from four different cities and Washington DC was the closest to me. Oh my!!! Oh well, off to Washington I go. The ultimate roadtrip! The only "problem" in my adventure was my little 10 year old was just about to get started with All-Stars during the same week so I knew that this would be a super quick trip for me. Come on Everybody!! Best Road Trip Ever! I really wasn't sure what to expect from this particular conference knowing that it was a "Disney" conference but most of the content was going to be non-Disney related. If you know anything about me at all, you must know that I'm a complete Disney addict. I admit that openly! Ha! I could talk "Disney" all day...and sometimes do. 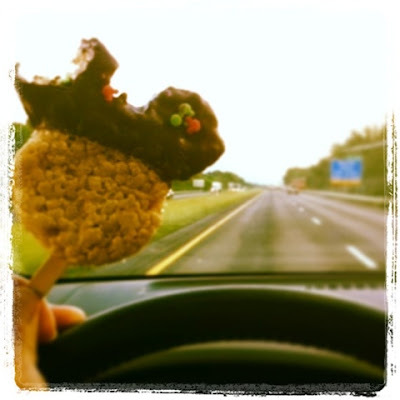 :) And anyways, who can resist Mickey Rice Krispy Bars and Monsters from MU??? The table is set for a fabulous conference!! We were given some insight as to what is happening at Disney Parks this summer and I gotta say, I'm REALLY excited to be going back in October for the runDisney Tower10Miler Race and being able to experience some of these new happenings!! 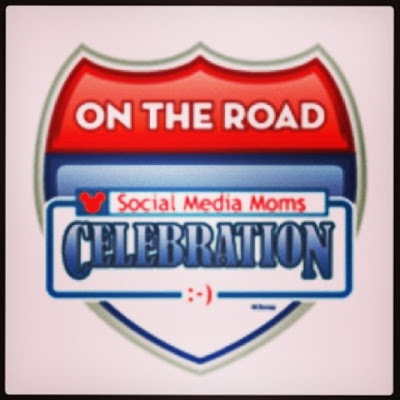 Be sure to follow along at Disney Parks Blog and #DisneySMMoms on Twitter! I quickly realized that even though every bit of information was not necessarily "Disney", I would be able to apply lots of these lessons to my real life. I can still hear so much of the advice that was given that day in my head as I face daily decisions. There were SO many inspirational stories, ideas, motivations. The one sentence that stood out to me the most was..."What is it that YOU want?" I have thought so long and hard about this question and I don't really know why this question is the one that has me the most perplexed. It should seem so easy. It should be so easy to answer but it's not. It's very hard. I know I want what every Mom wants...healthy children, healthy marriage, healthy spiritual life. I get that. Beyond that....work, dreams, goals. Now I think I'm getting close to my answer. One of the answers that just keeps coming to me over and over and over is another great piece of advice from the conference, "Stick with what you know". This hit me like a ton of Disney bricks!! I got it now. I GET IT!!!! Okay. Enough of the sappy motivational time, time to bring out my silly side!! 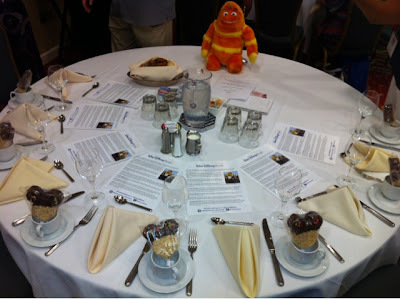 I could not have been placed at a better table than I was...I met four other great girls. 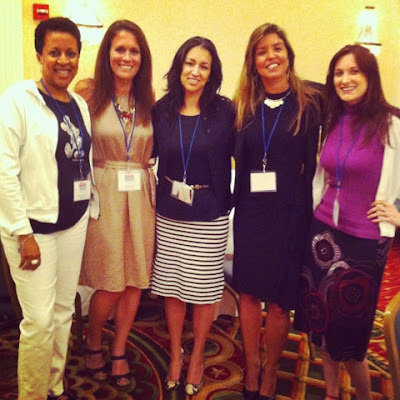 Four very different girls with four very different backgrounds but we meshed soooooo great together!! I would LOVE to be able to meet up with them again. We'll have to work on that! 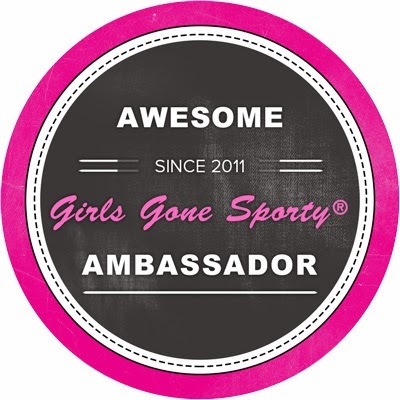 Please show these girls some blog love if you can...they are fabulous! 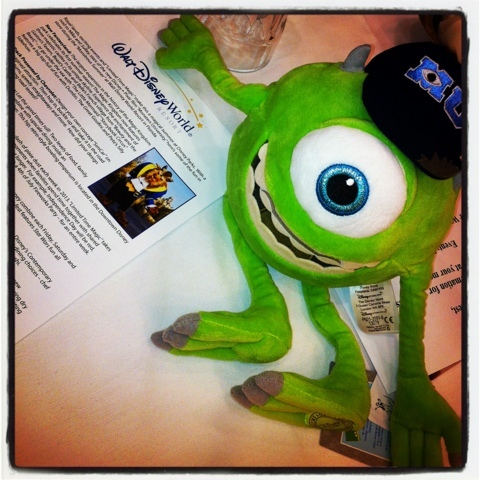 One of the definite highlights of the conference for me was getting to meet some of Disney's Social Media Team. They were so welcoming and so much fun to chat with!! 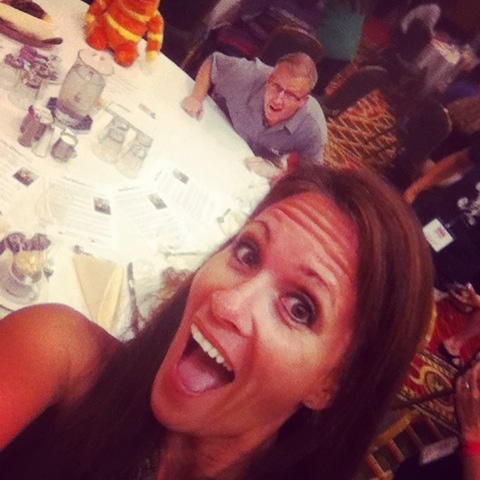 I did get a picture of myself and Maria Bailey but somehow lost it on my phone...bummer! Chatted with Leanne for a few minutes! Super Sweet! Even though it was a whirlwind of a day or two (really can't remember because I'm just that delirious now), I had the time of my life! I learned so much, met some really great friends and got a quick unexpected dose of Disney on a day when I wasn't at the parks or running a race! I loved every minute and was grateful for the opportunity!!! I hope to see the Disney Social Media Crew on the Road again some day. Until then, I'm headed home with my Mickey Rice Krispy...Best Road Trip Ever!! 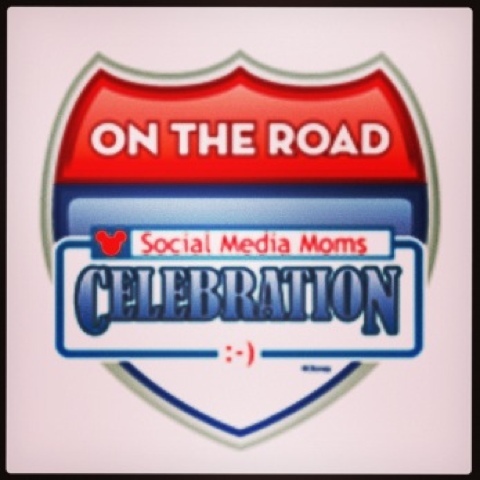 I made it to the #DisneySMMoms event!! Can't wait to get home and blog post all about it!! I had just gone for my normal 5 mile run on Sunday with Holly when I saw Runner's World's Twitter Post the Runner's World Summer Run Streak 2013. I've seen the streaks before but haven't been able to participate so I decided to check it out and learned that it was 39 straight days of running! A run streak everyday from Memorial Day to the 4th July. The minimum mileage is one mile and there is no maximum. I was already done with Day One so I decided to take the plunge! 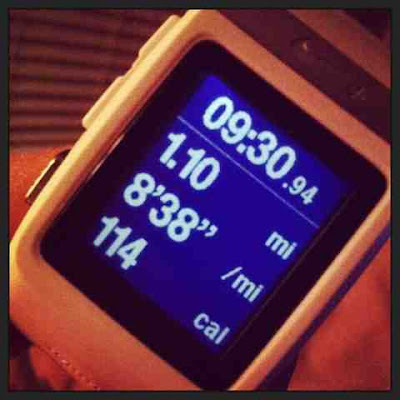 #RWRunStreak...Here I come! Under my normal running circumstances, I would never run less than 3 miles. However, because I'm challenging myself with this run streak, I'm going to run really low mileage a few days during the week. 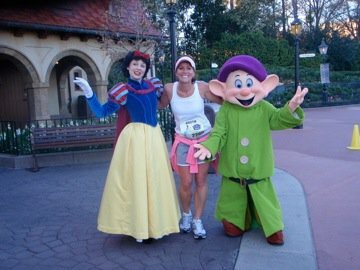 I don't want to have an injury and I'm going to start training soon for RunDisney's Tower of Terror 10-Miler and Dopey Challenge! By using the Jeff Galloway training plan and the Runner's World Run Streak for #TOT10Miler, I think this streak will help me tremendously when it comes to getting prepared for my Disney runs. During #TOT10Miler weekend, I'm also running the 5k that morning so I need quantity and late evening training runs. I'll probably have to work in a few two-a-days when it comes closer to race time in October. For Dopey Challenge, I think quantity and consecutive-day running are going to be the key for success in these races. 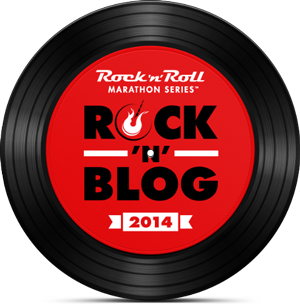 I'm really hoping to participate in a Runner's World Winter Run Streak too! Bring on the extra excitement for my training plans..yay!! I managed to get in 18.08 miles over the course of 7 days, which averages 2.58 miles per run. 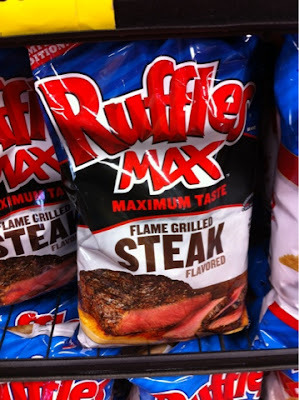 Not bad but definitely could be better. I'll work on upping the mileage next week! Day One..5.18 Miles. Met my friend Holly for a Memorial Day run. Day two...3.10 Miles in my neighborhood. Day 3...Quick 2.2 mile run after work in my neighborhood. Day four...2.5 Miles on the treadmill at my hotel. HOT. Day five...I didn't want to run at all but did it anyways. 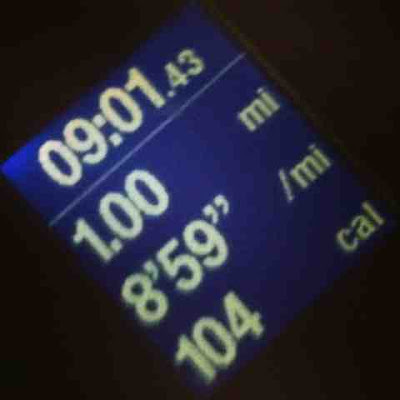 1 mile was all I had in me. Day six...Got up early and got 3 miles in while my Justin was warming up for his All-Star game! I'm having alot of fun with this challenge and will hopefully be able to keep it up! A little extra training never hurts. 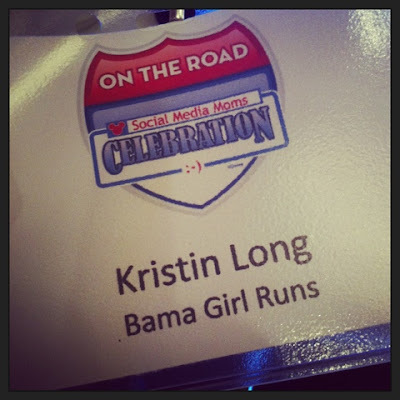 :) Big Thanks to Runner's World for hosting! 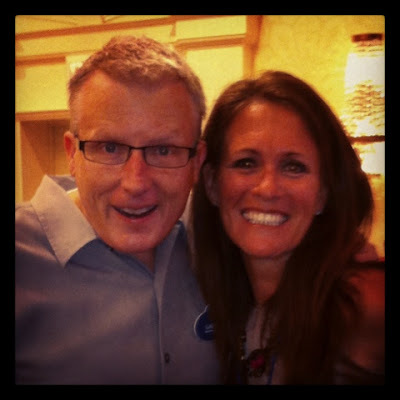 **Don't forget to check out the Jeff Galloway training page list on RunDisney.com for future RunDisney races and RunDisney and Runner's World on Twitter for all of the latest and greatest updates and information!